Luke Andersen, the protagonist of Robert Eringer’s captivating new novel, Motional Blur, is nearing the age of 40 and hasn’t done much with his life, except chase waves and women, dull his faculties with tequila and weed, and struggle to hold down a couple of part-time jobs, one as a driver for a car-for-hire service. Charles Gearhart is a mysterious 63-year-old gentleman who has spent many years living abroad while working for the U.S.government (in what capacity, he doesn’t disclose) and who hires Luke’s car to drive him from Santa Barbara to Las Vegas. Thus begins an improbable road trip that will take this seemingly mismatched duo through five western states over the course of six days. 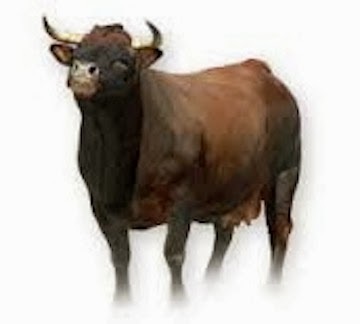 Eringer’s prose is clean and direct, and the dialogue between his characters moves the story forward at a clip not unlike that of a Lincoln Town Car cruising on a long stretch of deserted interstate. 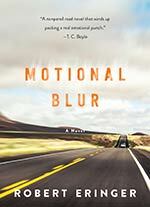 For readers in general, and fathers and sons in particular, Motional Blur delivers an emotional cargo.